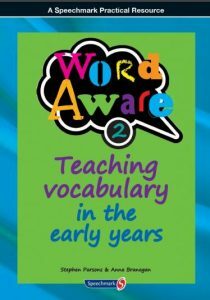 Speechmark asked me if I’d like to have a look at the new Word Aware vocabulary resource, by Stephen Parsons and Anna Branagan. I was keen to check it out and said I’d write about it here, on the blog, if it was something I thought I’d use, and it is. So thanks Speechmark, for the complimentary copy. The blurb on the back of the book says it’s: “a practical comprehensive resource designed to support…effective vocabulary development in pre-school children of all abilities.” The core audience is Early Years practioners, but it would also be useful for SLTs and parents. The approach is described clearly, with multiple examples and suggestions for how to implement it in the classroom. If a practioner was able to set aside the time needed to read the book, I think they’d be able to get started. 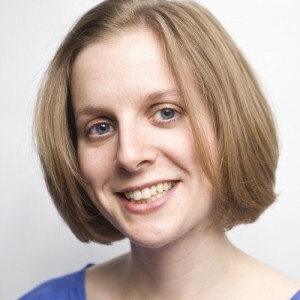 However, if you wanted more support and ideas, Stephen and Anna regularly run workshops on how to set up and run the program. This resource comes with access to a website, where you can print out supporting materials, which I much prefer to CD-ROMs. The book starts with a detailed, interesting and clearly referenced introduction, which would be very useful for teaching staff and is a great refresher for SLTs. I like the fact that the approach is designed for the whole class, so it’s inclusive and that there is a strong emphasis on the importance of Adult Child Interaction. The reader is directed to Keena Cummins’ work for more information about this. While reading the intro, I noted down the phrase: “enthralled rather than overwhelmed” (by new words) what a lovely reminder. Practioners are encouraged to provide an enriched word learning environment, teach vocabulary using the STAR method (see below), enjoy, celebrate and reinforce vocabulary, and finally teach children how to learn new words. Review – the taught words to ensure they are retained. The resource contains detailed directions with comprehensive examples for how to select vocabulary. In terms of how many words to teach, the authors suggest one topic word, one text based word (from a book), and one concept, per week. And just one word, per teaching session. How do I teach a new word? The book describes a teaching sequence, so adults can teach new words in the same (effective) way each time. The 6 step sequence includes selecting a picture or symbol to represent the word, and singing the Word Aware song! To activate the word the child needs to hear it used in different ways, by different people, over a period of time. The book provides lots of suggestions for this stage, for example, treasure hunts are a great way to “activate” adjectives. Finally, we need to review words. This can be done with word bags, and there are several word bag activities described in the book. The teaching concepts chapter includes plans for introducing and teaching over 80 concepts. These describe specific activities for each concept, and are a great time saver when planning. The book also includes chapters about supporting children with higher needs, developing word learning strategies and involving families. I plan to use the STAR process in my individual therapy sessions with children who are working on their vocabulary. I found the guidance about how to select target words, and the ideas for activating and reviewing them useful. I will share the practical activities with parents and teaching staff. I’ll definitely use the concept plans, I don’t think they’d need much adapting to use in a one to one session with a child. And I’ll also recommend this resource, and way of working, to Nursery and Reception class teachers. This is quite a hefty book, there are 250 pages, and I think to get the most out of it, and the approach, people would need to set aside the time to read it through. Although you could skip over some of the concept plans, you’d still need 2 or 3 hours, if you’re new to the approach, as I was. I’m excited to try these concrete ideas for teaching vocabulary, in my therapy sessions. Perhaps I can write a follow up blog post when I’ve had a go! This entry was posted in Reviews, Thoughts about Therapy and tagged Anna Branagan, book, Classroom, early years, resource, Stephen Parsons, vocabulary, Word Aware on October 13, 2016 by Rhiannan Walton.